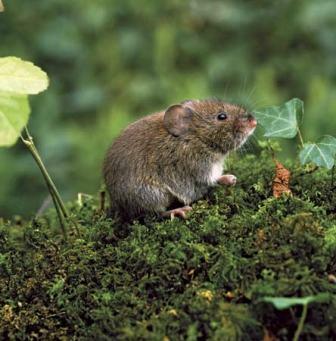 Voles, also known as meadow mice, are often mistaken for the typical house mice and make lots of little holes in the ground. They are gray in color and have much shorter tails than moles. They are a big garden threat and eat plants. Their favorite foods are tulip bulbs and the roots of many other plants such as hostas. Swapping tulips for daffodils and other narcissus helps reduce the damage. Barriers also work. Line trenches beds with sheets of hardware cloth 18 to 24 inches wide. Castor oil products don’t seem to work as well as a repellents but the Mole Scram product would be worth a try.